Irene M. Stillings served as Executive Director of nonprofit California Center for Sustainable Energy (CCSE), formerly known as the San Diego Regional Energy Office (SDREO), from September 2002 to March 2012. Irene has 40 years of experience in the energy industry during which she's held various executive positions at New York State Electric & Gas Corporation (an investor-owned utility), ConneXt, Inc ( providing software to utilities), and Navigant Consulting, Inc., (a multi-national firm). She is also the owner of imsMENTOR, a consulting firm focusing on enhancing individual and organizational effectiveness. Irene currently serves on the Executive Committee of the Marketing Executive Conference, the Policy Committee of the San Diego Regional Chamber of Commerce, the Board of the San Diego World Trade Center, and the Board of the San Diego Chapter of E2 (Environmental Entrepreneurs). Five-minute highlights of utility program activities with focus on program portfolios for 2012 and 2013, presented by the session co-chairs and other participants. Hosted bar and hors d'oeurves among the sponsor displays and posters. 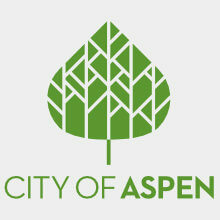 Special visit from Aspen Center for Environmental Studies staff and rescued animals. Commercial SSL: How to find the right product. The DesignLights Consortium provides much needed direction in the commercial SSL world by developing specs for utilities, manufacturers and lighting designers to identify high-performing SSL products. This session will provide an overview of the DLC, the tools available to utility managers and what the future holds for the DLC. Young, tech-savvy consumer Brady Fronk investigates a few apps that can help customer save energy, and one that can help electricity professionals save time. Can these tools promote incentives and rebates? Change customers' energy use habits? Ensure equipment performs as promised? You tell us--this is new territory, and we are charting it together! What's the secret to driving contractor engagement in program activities? You've got five minutes to find out! Explore BPI's analysis of phrases that brought results in promoting a wide variety of programs across the country. Determine how to capture the attention of your contractor audience and hold their interest all the way to click-throughs. Discover the messaging keywords that lead to higher participation in home energy programs. Examples of business models and marketing approaches by leading "Home Performance with ENERGY STAR" contractors nationwide based on a national study over 2011 DOE Century Club Award winning contractors. Red Rocks Community College, The National Renewable Energy Laboratory and the State Energy Sector Partnership are teaming up to tackle one of the three barriers to the development of a robust home performance market identified by Vice President Biden's Middle Class Task Force. The project is designed to recruit veterans to undergo training in building science, energy efficiency, and customer service, then apply these skills at a call center that provides homeowners with clear, understandable information about making their home more comfortable and energy efficient. In addition to providing employment opportunities to veterans, this project is expected to generate more business for local home performance contractors. Is Your Utility Ready For Alternative Fuel Vehicles? With the national conversation around deployment of CNG vehicles and plug-in vehicles, Mike will describe the preparations for and benefits of alternative fuels from the perspective of gas and electric utilities, and will mention a few of the broader benefits of alternative fuel vehicles in achieving national goals to reduce petroleum benefits. Best of all, these vehicles represent a way for utilities to use their own products to deliver services to their customers. Overview of how Xcel Energy in Colorado as well as utility and government sponsored programs in 4 other states are integrating online and in-home energy audit software with the energy upgrade sales process to increase conversion rates and the number of measures implemented. Discover how software is fulfilling some of the key functions of human energy advisors to support increased adoption rates and market transformation while gathering data for program reporting. Overview of program start-up principles and myths with insight on why the ability to pivot should be the core of DSM program design. Five-minute highlights of utility program activities presented by the session co-chairs and other participants. Stimulus Funded Appliance Rebates: What Happened? The U.S. Department of Energy sponsored the State Energy Efficient Appliance Rebate Program for all 56 states and territories. $300 million was allocated for this program which was featured on the Today Show, Good Morning America and The Wall Street Journal. But, what did this project accomplish and learn? This presentation will answer that question. Commercial lighting programs are often the biggest source of energy savings for utility DSM programs. This session will discuss how utilities plan to achieve and maintain future energy savings from their lighting programs after Federal Legislation increase the baseline of lighting efficiency. Discover how to keep raising the bar on your trade ally network without being accused of picking favorites or risking referring someone who you know won't get the job done…or worse. Learn how the Home Energy Professional certifications funded by DOE with NREL are building on BPI's efforts. Learn about commercial air and thermal barrier performance testing through case studies. Related impacts on energy use, improved comfort, and lessons learned and potential efficiency programs will be presented. Discover how two Colorado programs have been working together to help customers. As an example, Deacon's house in Lafayette was a typical 1977 Ranch with a basement. For about $10,000, he received air sealing and insulation, window treatments, appliances, new lights, and an ERV. The project was funded by Xcel HPwES and Boulder EnergySmart Rebates with a Boulder Micro Loan with about $2500 and another $130 or so in monthly payments for 3 years. The net result is a home that is comfortable and efficient. The last 12 months of utilities for the 2200 SF house was $876.56 of usage. Nexant recently collaborated with PRPA to develop a three-tiered approach to RCx. The newest tier is a hybrid of small and large building tune-ups (medium building) that PRPA has been offering the last few years. This approach was recently tested on a building in Fort Collins. This presentation will focus on the lessons learned with this project. Demand is strong in residential and commercial, buildings to tie indoor climate systems into new "smart grid" systems. Learn how local colleges are partnering with utilities and other stakeholders to train technicians to be HVAC Energy Efficiency Systems Specialists that free the stranded energy and money that exists in buildings today. Energy efficient (green) HVAC is rapidly becoming the way of doing business and all workers at all levels of the HVAC industry need to keep up with new techniques in this new green economy. HVAC workers who do not have current certifications or understanding of the new technology and will have difficulty getting the higher incomes associated with these technologies. The direct installation lighting program offered through Black Hills Energy targets small to medium sized businesses, up to 350 kW in size throughout the utilities service territory to help businesses become energy efficient. The program offers a free lighting energy audit that includes information on energy efficiency measures for their facility, such as permanently installed interior and exterior T8, T5 and LED lighting, occupancy sensors and controls. The audit report captures potential energy savings, installation cost, and anticipated project payback. 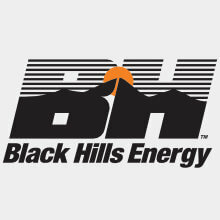 Black Hills Energy then pays up to 60% of the project cost including installation and materials. Update on residential tablet audit and AC Tune program in Oklahoma with 20,000 customer audits completed in 18 months with a 90% customer action rate! Learn how the program plans to tie in SmartHours rate plans for off-peak use. 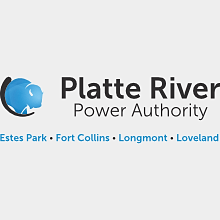 Learn preliminary results from the pilot Xcel Energy is conducting to determine if the utility claim incremental energy savings through the support of higher code utilization. 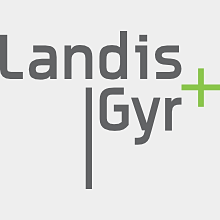 The pilot will capture partner jurisdiction code baseline data to determine the level of code knowledge and compliance, determine training needs and measure incremental energy saving achievement accomplished through the training. By joining together to form Garfield Clean Energy, the state's first clean energy authority, 8 local governments in western Colorado have been able to offer programs that have created measurable increases in energy efficiency and cost savings for participating governments, businesses, and households. Working with CLEER, government partners use energy monitoring and "active energy management" to achieve low-cost/no-cost savings in public buildings. 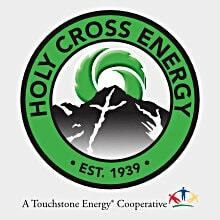 Stephen Casey, Holy Cross EnergyOverview of EE and REG activities conducted by Holy Cross Energy since the inception of its WE CARE (With Efficiency, Conservation And Renewable Energy) Program in September 2004. Learn about how customer data analytics are being used to target outreach for a new efficiency initiative. The analytics are expected to more effectively market the program, drive operational efficiencies and program savings. Trade Ally Network Development: What's the Point? Different types of trade ally networks serve different purposes. Weatherization, home performance, demand side response, bill justification, and so on, require you to communicate with your network. The more streamline your credential and Quality Assurance process, the better your results, but communicating with each group may take a different approach. Learn the criteria these utilities use to define their network, and why it makes a difference to the success of their programs. Increasingly, utilities incentivize residential and commercial solar water heating systems to shave peak demand or encourage renewables. Learn about the California Solar Initiative's success. Metering the production, functionality, and operations of solar thermal is an emerging best practice. Learn how metering provides for M&V goals & prompt maintenance. Review of what this concept might mean for Colorado utilities from stakeholders who have been working on this type of legislation over the past year. Panel presentation with representatives from leading programs speaking candidly about the challenges and opportunities when financing energy efficiency and renewable energy improvements through government and utility subsidized as well as market-priced initiatives. 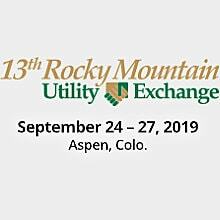 We'll discuss examples of successful community driven utility partnerships in Denver as well as suggest creative possibilities for better engagement between utilities and local communities. Examples will include how community driven data (housing stock, neighborhoods, business districts and more) can be layered with utility data to better analyze the impact and penetration of DSM programs and design better outreach opportunities. We'll also talk about fun, innovative ways to deliver utility programs in your local community. Utilities across the country are assessing the role of smart grid enabled and behavior-based programs in their DSM portfolios. AEP Texas is conducting research that encompasses both smart grid and behavior in their current evaluation of in-home energy displays. Their research is designed to assess the impact of energy displays on consumer behavior, energy consumption, and likelihood to participate in utility demand side management (DSM) programs. Discover the essential components of the research methodology that will allow AEP to identify impacts attributable to the devices. Learn best practices for any utility evaluating the role of new technologies in its portfolio. In 2011 iCAST presented the programmatic components and goals of its new San Miguel Power Association / SourceGas sponsored turn-key energy efficiency program for residential and commercial customers. First-year results have exceeded expectations. This presentation will present year-one results, lessons-learned, and plans for the future. Join us at Brunelleschi's, 205 So. Mill St., 970-544-4644, and bring your name badge for a hosted bar reception. An intimate evening of John's music and personal stories as told by members of his bands and close associates. Sustainability is always much deeper and broader that we expect. Our day to day work usually focuses on one or two aspects of this complex network of topics (peak reduction anyone? ), but it's important to step back and reflect on how everything is connected together and where we're actually trying to arrive. This talk will focus on the trends that are shaping and shaking up this still nascent industry, and how utilities can play a role in this this pivotal transition. Josh is co-founder and Principal of YR&G, a 23-person consulting firm in Denver, New York, and Chicago. YR&G provides technical and strategic sustainability services for projects and clients around the US and internationally. Josh has a background in sustainable energy engineering and works at the intersection of the energy, sustainability strategy, and green building fields. Insight from state regulatory staff in Colorado. Update on the new Recharge Colorado, an energy and water efficiency asset for Colorado utilities. Recharge promotes an enhanced marketplace for energy and water efficiency, the energy-water nexus, and renewable energy projects. Review of lessons learned from some of the worst program practices among utility- and government sponsored energy efficiency and renewable energy programs worldwide. Learn what not to do when designing and implementing your programs by discovering the unintended results of others. This session held in reserve for presentation on an emerging issue. Fort Collins Utilities is a municipally owned, multi-service provider of water, wastewater, electric and stormwater services to the City of Fort Collins. We recognize the economic, social and environmental impacts of our operation and are committed to minimizing our negative impacts and enhancing our positive impacts on the community and environment. Recharge Colorado (Recharge) is an energy, water, and resource efficiency asset for regional and national stakeholders. As an efficiency utility, Recharge promotes a robust, coherent marketplace for energy and water efficiency, the energy-water nexus, and renewable energy projects in Colorado.